It’s always an honor to be recognized for our efforts to deliver best-in-class solutions, but our recent recognition for Unified Communications Product of the Year from TMC for our XCaaS Avaya solution, really points to the advantages our customers gain from our close partnership with Avaya. This was certainly the case. Our latest XCaaS Avaya solution adds Avaya Breeze and Oceana, netting us the Product of the Year award. Windstream Enterprise is the first U.S. XCaaS provider to incorporate Breeze and Oceana as part of its contact center services strategy to empower companies to migrate their premises-based systems to the cloud. By excelling at hosting it in the cloud, a wealth of additional benefits become available. Specifically, moving Avaya to the cloud replaces capital-intensive investments with a cost-effective, flexible and scalable “pay-as-you-grow” OPEX solution, and the ability to keep pace with rapidly changing technologies without incurring excessive CAPEX costs. Equally important, because delivering a superior customer experience is more than just an 8-5 job, XCaaS Avaya must be “always on” and available to serve customers whenever they demand it. That is precisely what Windstream Enterprise delivers: state-of-the-art tools like Breeze and Oceana which help our customers deliver a more superior customer experience. That comes from years of XCaaS experience on our part. WE view the TMC Unified Communications Product of the Year Award, not just as recognition for our creating an exceptionally performing Avaya solution, but the culmination of years of partnering with Avaya to deliver the best customer experience available, and Windstream Enterprise UCaaS customers are the direct beneficiaries. Given our momentum, you can count on much more Windstream Enterprise excellence ahead. 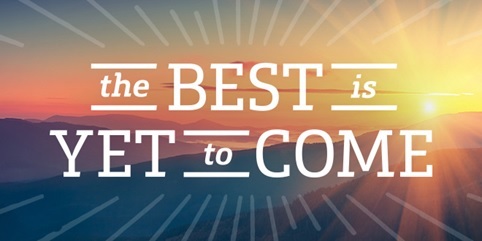 We are confident “the best is yet to come”. Tom Daniel, senior principal – product management for Windstream Enterprise has overall product management responsibility for its UCaaS and CCaaS service offerings, setting the direction of the product portfolio and ensuring the services continue to meet the ever-changing demands of customers. Tom joined Windstream in April 2016, bringing with him over twenty years of experience in the technology services industry. Most recently, Tom spent 11 years at Verizon where he held various product management/development and marketing roles with responsibility for several of their advanced communications service offerings including managed Unified Communications and Collaboration and UCCaaS. Prior to Verizon, Tom was president of a regional VAR which specialized in providing network integration and remote monitoring services to customers in the SMB market.